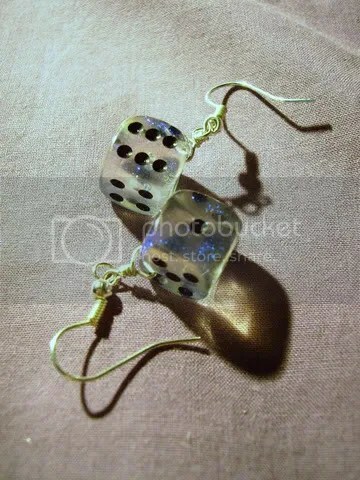 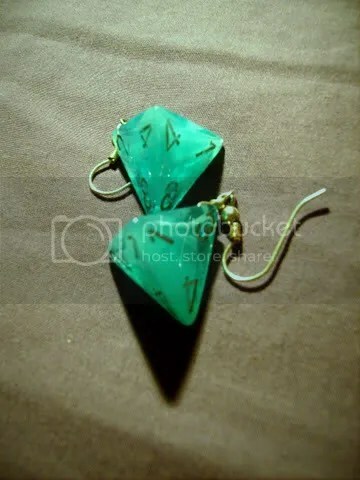 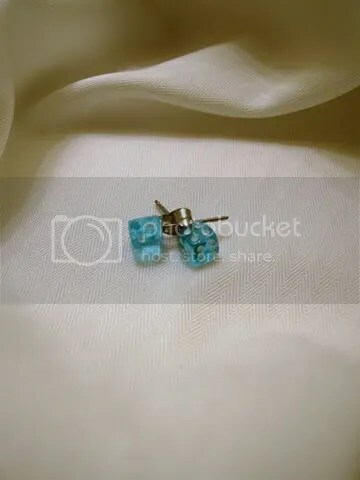 This pair of earrings are from a collection I have up for sale and were made from a pair of crystal clear Transparent Aqua 12mm six-sided dice. 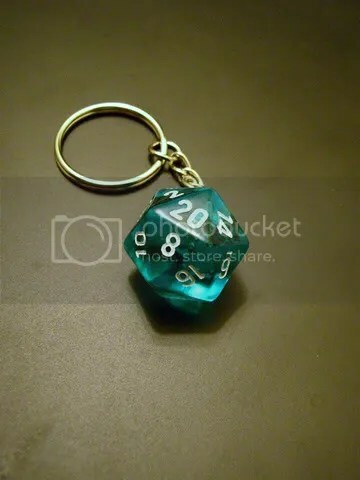 The clear colour of the dice sparkle almost like real crystal when caught in the light, and the aqua looks as inviting as a cool pool on a hot summer’s day. 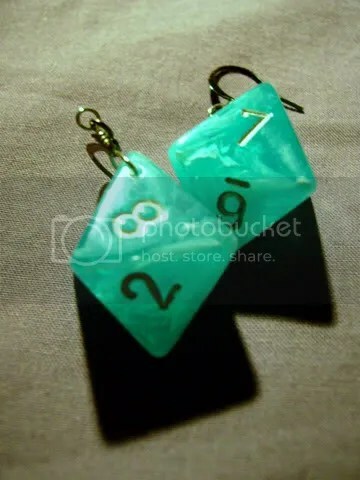 This pair of earrings are from a collection I have up for sale and were made from a pair of swirling Aqua Cirrus four-sided dice with silver numbers. 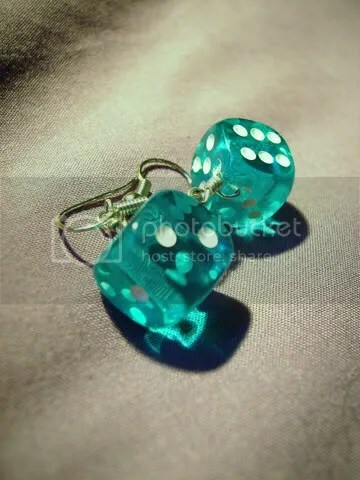 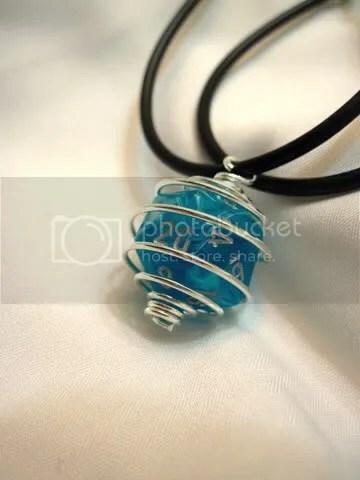 The swirls within the dice look like the foam of the sea in a storm, and the clear Aqua helps to accentuate the beauty of the swirls.